The GO! Angel die contains the main angel body (7" tall) and two separate wings (right and left) for versatility in wing placement. 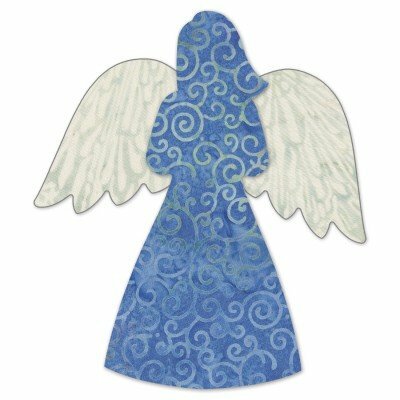 This popular classic shape can be used for many types of projects such as quilts, wall hangings, holiday-themed, as well as, everyday angelic projects.